Iceland’s parliamentary elections were historic in several ways. Never before have so many political parties secured seats in the Allting, the country’s parliament – eight in total. Three parties won the election; the Left-Green Movement, the Centre Party (Miðflokkurinn) which was established ahead of the election by Iceland’s former Prime Minister Sigmundur Davíð Gunnlaugsson, and the new People’s Party. Icelandic governments are usually made up of two-party coalitions. This time no political parties secured a strong enough mandate to form a two-party government. Katrín Jakobsdóttir, leader of the left-wing Left-Green Movement, has therefore been discussing forming a coalition with the country’s largest party, the centre-right Independence Party and the centrist Progressive Party. Professor Guðmundur Hálfdánarson at the University of Iceland is surprised the negotiations have been so short. “These two parties, the Independence Party and the Left-Green Movement, are political opposites. They have not worked together in government since just after World War II, so the politics is perhaps changing,” he says. “But the two parties have certain things in common. Both are against EU membership, for instance,” continues Guðmundur. He also believes they will want similar policies on agriculture and fisheries. Bjarni Benediktsson, leader of the country’s largest political party the Independence Party, was heading the former government coalition when one of the three partners quit in protest after the Prime Minister’s father had signed a letter recommending a friend convicted of child sexual offences have his ‘honour restored’. Professor Guðmundur Hálfdánarson believes this is the reason why Bjarni Benediktsson will probably settle with the job as the country’s Minister of Finance. Iceland’s parliament has 63 seats. The election was a disappointment for women in politics, since there are now 24 female MPs, opposed to 30 before the election. 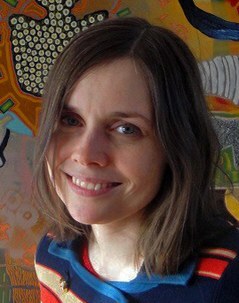 But Katrín Jakobsdóttir looks likely to become the country’s Prime Minister. She has previously been the country’s Minister of Education. Katrín has been her party’s leader since 2013. Read a portrait of Katrín Jakóbsdottir when she was elected party leader.